I have always been so happy with All Smiles Dental. The front end staff is so helpful with scheduling and insurance questions. The Doctor and his staff are always kind and my child had a wonderful first experience at the dentist. Great job!! Even though going to the dentist isn't my favorite thing to do - you all make it as positive as possible of an experience. Best dental experience of my adult life. Thank you! I am a new patient and I love, love, love this place. Everything moves along smoothly so there's no time to feel anxious or perturbed. The staff is extremely polite and willing to listen making it a good experience overall. All I can say is the care provided was excellent, over the top. The time, effort & craftsmanship of the Doctor was so very much appreciated. I would strongly recommend your office to anyone I know. It has been a 5 star experience. Excellent! My daughter always has a great experience at All Smiles Dental. Everyone is friendly and my children are always at ease! I always feel welcomed by EVERY staff member at All Smiles Dental. It is a place I would refer friends in the field to work. I like that you are closed for your lunch break, and the half day on Friday. This is the best overall dentist place I have ever been to. Everyone makes you feel welcomed and spends the necessary time needed with you for whatever you are having done. I think the staff are amazing!! Thank you. I never knew it could be easy or pleasant to schedule or attend dental care appointments, but All-Smiles showed me this is possible! Everyone there is so friendly and clearly cares about your well-being, comfort, and understanding. Ewa is an outstanding excellent dental hygienist. Her advice on follow-up is also excellent. Listened well, the moment I said anything about being in pain, a great plan was put in place. Great about knowing what insurance will pay for or not and how much the patient will have to spend. Teeth always feel awesome no matter who I get! This is a top notch facility with above outstanding care from the front office all the way to Dr. G! They listen, are friendly, accommodating, put the patient first and all in all amazing! I won't go anywhere else 5+ stars! All Smiles staff is always pleasant, courteous and accommodating. They are all kind and considerate of their patients. Dr. Garramore is honest about what needs to be done, but never pushes you to do that work until you're ready and able to do so. 4 fillings and a great experence! I had four fillings done today. Done in two hours. Great care was given. Very profesional and personable. Worth the drive from Sanford/Springvale! Did not have an appt. had tooth pain All Smiles dental got me in that day, and set me up with a meeting with a specialist right away. Xcellent service, and service. I absolutely love coming to this office. Everyone is so genuine and professional! Changing to this practice was definitely the right decision!!! I had my first experience with All Smiles Dental today and it was fantastic. I had a very compassionate, patient focused visit. They wanted my input and listened well. Great dentist office! I had a crown started and it was done comfortably, and professionally. Happy that I go to them! I've been a patient for three years and have always been treated with kindness and respect. The dentists and staff have your best interests in mind. Every time I go to All Smiles Dental the appointment is on time and done professionally with care to do the job right with the least amount of stress and strain possible. Robbie is an incredible hygienist. The best! Robbey W. does such a great job and always pleasant and professional. She's the best. Everyone I meet at All Smiles Dental is very kind, caring and a pleasure to be around. I am grateful I found this company. Had a wonderful experience at All Smiles Dental today. They accommodated my "faux pas". I had completely forgotten my 9:00 a.m. appointment, and they accommodated me with another appointment at 11:00 a.m. on the same day. Everyone from Reception to the Dentist is Super nice and seem to love what they do. So far so Good. I came to All Smiles by mistake, but what a wonderful error. I couldn't believe the wonderful reception I received. Both Ginger and Kristin are so welcoming and friendly and just wonderful. .....Then there was the tour of the facility, and I knew that this must be a professional operation. It was all very impressive. That night I had paperwork to fill out. It was so detailed and impressive and showed me their level of care. .......I had a twelve o'clock appointment the next day. WOW !!! That was really super! The actual appointment the next day lasted 2.5 hrs., and the chairside care given to me by the hygienist, Tatyana and All Smiles Dental were well above my expectations. My experience with All Smiles Dental is always worth the visit. The staff is friendly and most professional. They have the best in medical technology and I always feel like they have my best interest in mind and will take care of my needs. It is so nice to be with a staff that works as a team and has a thorough understanding of how a variety of dental issues need to be addressed. My experience over the last seven years has been nothing but positive. I'm a fan! I boke top of crown and tooth to gumline night before. I was not in major pain, but called little after 8am and they got me in for a look at 9. Even though I had a cleaning scheduled following week. Reviewed my tooth (now just a root) possible infection, any other issues, then set up necessary follow up appointments and were very good at explaining my options. Very friendly and made you feel they care about your dental, not just today, but future choices and your pocketbook. did not push to do anything. I have been going there for many many years, after wading thru a couple of other dentist that I did not feel like I was important with. Very happy to be a customer. Great first visit for my 5 year old! I brought my daughter to All Smiles based on a recommendation from my friend. Grace's first visit was awesome! The entire staff was very inviting and extremely friendly. What a great experience!! Thank you all so much! Dr G explained what he was going to do. There was no pain. Everyone was wonderful. Different dental hygienist today. I really liked her. Nice people on staff. Everything was fine as always! I am not brave when it comes to dental care and once again all smiles dental did not disappoint. I went in with an odd tooth pain and I was afraid it might require dental work. The staff was very reassuring and took the time to explain what was going on. Thanks for all the help that you provided me with my insurance company. The professionalism of the entire staff is commendable. Thanks again. Looking forward to my next appointment. I continue using All Smiles Dental because I feel the care I received is competent and the staff and professionals are friendly and accommodating; they listen to what you have to say. Dr. Garramore is a perfectionist, which is a blessing, when it comes to fixing the two front teeth! He relates to the patient and does a fantastic job making sure everything is outstanding. He runs a very professional class act facility! I am glad that I choose all Smiles Dental, very friendly staff super nice team, all my questions was answered and Dr, Gilmore was so patient answering my questions, i feel confident that i am going to have some good results and be able to smile with confident!!! Thank you for taking care of my teeth. Robbie was very professional and conscientious. Ginger and Kristen were both very helpful and on the same page. Kristen's got killer dimples! actually was a good experience. I never feel anxious about going there; everyone is always smiling and it puts me at ease. Very comfortable atmosphere with knowledgeable staff. They make sure I don't have any questions or concerns. Excellent dental practice. I was informed about how to help prevent a future cavity and given sound advice in a manner that was understandable for me. I was treated with care. I have been going to Dr. Garramore for a few years and they are by far the best. Their office staff is friendly and very helpful. The dental staff are awesome. Dr. Garramore takes his time with you, you don't feel like you are just another patient. I was very please to the gentle detail of my exam. Robbie was wonderful. She explained each photo, x-ray, and technique that she performed. I learned more about my mouth than I would have ever guessed. Everyone I met was professional and conversational. I wanted to stay and just lounge after my appointment. The staff maintain a nice, relaxing environment. Thank you for making my anxiety inducing issue a comfortable and likeable experience! I have to say that my experience today was excellent as usual. Robbie, my hygienist does such a thorough job taking care of my teeth. She also is a very good person. She is kind and considerate to me all the time. I always enjoy seeing her. I also want to say that Dr. Garramore in my eyes is the #1 Dentist. He really cares for his patients and I can't forget Ginger who I always enjoy seeing and talking to she has such a great personality and is always smiling and in a good mood. All Smiles is a wonderful place to go and I thank you all very much. Awesome as usual. I have alot of sensitivity and they treat me with great respect and professionalism everytime. Amazing staff!!! Everyone is so friendly and Dr. G is so nice. I totally recommend All Smiles Dental to whoever is looking for a dentist or wants to switch their dentist. even though it is something I wish I didn't need, they fit me in within 3 hours of my original call, I had been seen and was on my way. This was my initial appointment with All Smiles Dental. The care that was provided was done in a very professional manner. 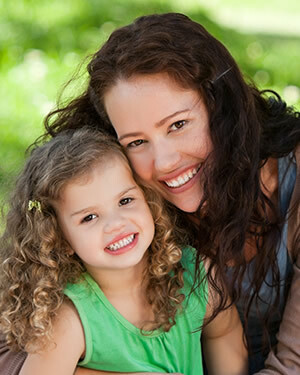 The dental hygienist was very thorough and explained in detail every step being performed. I was very impressed with the quality of care and service that I received. This dental practice is a class act, I have been with them from the beginning and never a bad experience, the staff is friendly and courteous and put you at ease from the minute you walk through the door. I do have a favorite hygienist and she's awesome but to be honest I'm sure there all great or they wouldn't be working there, give them a shot you won't be disappointed! Robbie is amazing... So very gentle and thorough; Understands my dental anxiety and always puts my mind at ease. Staff is always pleasant!! As always, the quality of care at All Smiles was superb. Robbie is the most amazing hygienist ever. She does a terrific job and is very empathetic about patients' comfort. If I could, I'd give a 5+ rating instead of a 5. The dental hygienist was extremely pleasant and made me feel very at ease. I would highly recommend this office. My daughter is 10 months old, she went for her first appointment and they did great with her! Everyone is so nice and all smiles....Dr. Peter had to recommend a oral surgeon to have my tooth pulled. I received all the information and a appointment for the next day to see Dr Brittain in Saco. Within a hour at Dr.Brittain office I have my tooth pulled and was on my way home....Thank you Dr. Peter and staff for making my tooth pulling experience a happy one....Now I'm all smiles again....Kathy B. All Smiles Dental exceeded my expectations as always! I always have a fantastic experience at All Smiles Dental. The staff are so polite, professional, and extremely skilled. Not to mention the beautiful decor! I always have a really nice experience there, and wouldn't go anywhere else for my dental care! My hygienist Robbie is absolutely fantastic. She is thorough, meticulous and tremendously pleasant and personable. I look forward to my dental appointments just to see her. The ladies in the office, especially Ginger, go out of their way to be helpful and make your dental experience a good one. Dr. Garramore is professional, knowledgeable and has a wonderful bedside manner. He made me a mouth guard that has absolutely changed my life.....I cannot say enough positive things about All Smiles Dental....I love it!! Everyone was very nice and friendly. Dr. Garramore was very knowledgeable. Absolutely amazing! Dr.G is the kindest and most gentle dentist around. He really cares about his patients, and values their needs. The staff at All Smiles is always friendly and happy, a very great team. I would highly recommend anyone of any age to see Dr.G and his wonderful team for all of their dental needs. A professional office and devoted Doctor and staff! Hygienist did her usual excellent job; provides a calm and informative appointment time. Office atmosphere is genuinely friendly; aura is one of efficiency and concern for patients. I can't wait to go back'!!!!'!!! Had a wonderful experience with Robbie. She is the Best!!!!!! They ALL have compassion for the patients , never had a bad experience!!!! All the staff were very warm and friendly. Dr. Garramor is very thorough and very good! He explains clearly what needs to be done to his patient. I had a very thorough exam and everything was explained to me even I could understand everything the doctor told me . I would recommend Dr. Garramore to anyone who might need a dentist. The entire staff of this immaculate office is extremely professional and caring. Everyone has a great big white sme in their face because it is just such a pleasant place to be! Yes, the dentist office is a great place at all smiles!!?? ?